A former office manager for a Roanoke orthodontist has pleaded no contest to embezzling more than $400,000 from the business. 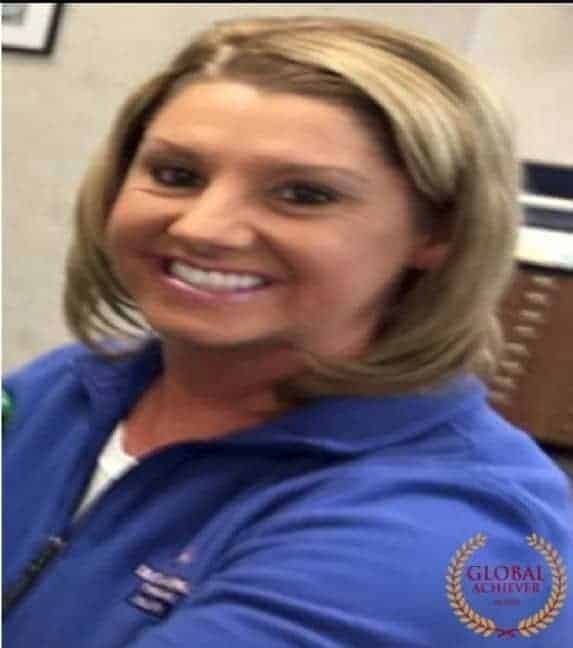 Deanna Mache Gray, who now lives in South Carolina, was indicted in November on 10 felony counts of embezzlement from her employer, Dr. Penny Lampros, between 2012 and 2016. On Tuesday in Roanoke Circuit Court, Gray, 43, pleaded no contest to four of those charges and saw the other six dropped. According to Roanoke Assistant Commonwealth’s Attorney Andrew Stephens, Gray worked for Lampros for more than a decade, handling her schedules, billing and other record keeping. Stephens said that after Gray left the office in December 2016, inconsistencies were found in the financial records that suggested “widespread theft of cash payments” through voided transactions, ultimately prompting an investigation by Virginia State Police. “This was a steady occurrence of multiple, multiple, multiple smaller transactions that accrued over a 10-year period,” Stephens said as he detailed prosecution evidence which he said showed thefts as small as $50 to $100 up to larger amounts of $1,000. He also claimed Gray wrote off or adjusted dental treatments for her relatives. Each count of embezzlement carries the possibility of up to 20 years in prison, but through Gray’s agreement, prosecutors have said they will ask for a punishment within the sentencing guidelines once those are determined. She will also be required to pay $421,119 in restitution. Gray’s defense attorney, Ray Byrd, said in court he believed the amount taken was considerably less than the restitution, but he will not present evidence on his client’s behalf until her sentencing hearing, now set for Jan. 15. Court records show that Lampros has also filed a civil suit against Gray, seeking $850,000 in compensatory damages and $500,000 in punitive damages. That case is scheduled to go before a jury just a few days after Gray’s sentencing, on Jan. 19. Previous Entry Is it worse to be robbed or embezzled?